Crazy day and I won't be home all evening so a quick WIPs update. Almost done with the next color in the Tunisian Squares blanket. No photos today. I'll take one next week with all the squares so far! They're looking great! Ta-Da! I think this is my favorite pattern of bookmarks so far. It's quick, easy and looks adorable!! Sorry to cut it short, but that's all I have time for right now. Much love!!! That bookmark is so cute. I am trying to find a good pattern to make bookmarks for my Women's Bible Study Group. My WIPs post has been delayed due to gloomy rainy "not good for photos" day. 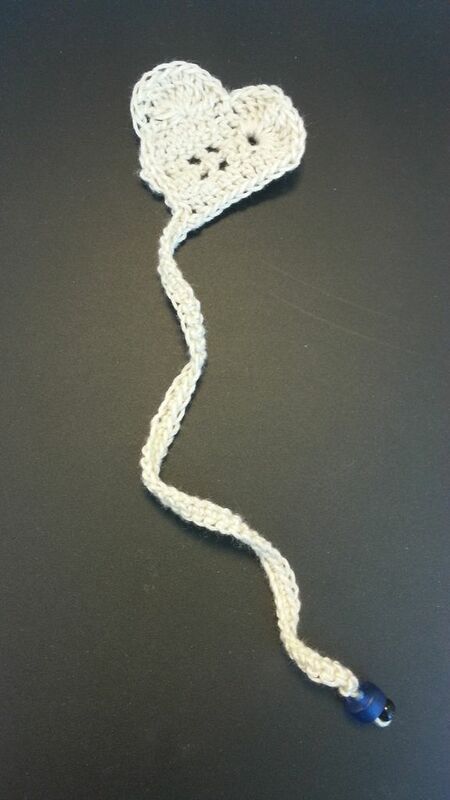 There are TONS of patterns on Ravelry for bookmarks!! They have a couple really nice cross ones! !